As we think more about going green, buying locally, healthy living, and eating our veggies, now is the time to veggie up your Thanksgiving. I grew up with the traditional turkey and fixin’s on Thanksgiving. 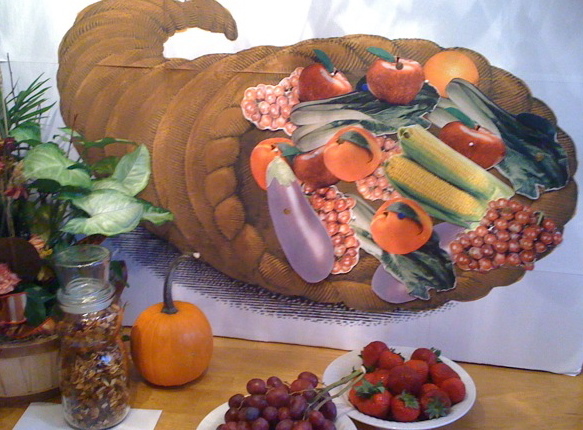 When I became vegetarian over 17 years ago, Thanksgiving became a very difficult holiday. People were reluctant to join us for us for the holiday because we would not have turkey on the table, and others were timid about inviting us because so many of their traditional recipes were not vegetarian. So over the years I have adapted all the traditional recipes to be vegetarian and we have created our own Thanksgiving rituals. My musings about faith, family, congregations without walls, and making a difference.